Are you discouraged because you have diabetes? No need to be! You can live an active, healthy life by making good choices every day. 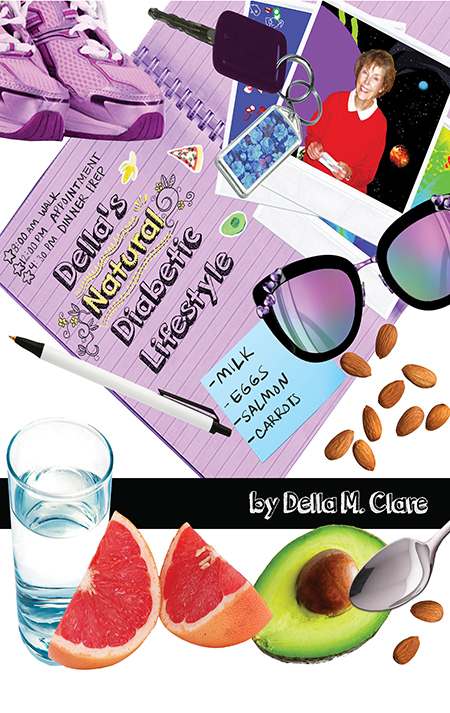 In this book Della Clare describes her journey from the time she received her evaluation of being diabetic to discovering her natural cure. She includes some of her favorite meal suggestions and recipes and shares some of her humorous experiences. She encourages you to take active control over your own habits so you can look forward to a long and healthy life. If you are diabetic, pre-diabetic, have diabetes in your family or simply want to live a healthier lifestyle, you can do it by following your program. This book is not intended to replace the program your doctor has given you. It is Della's testimony, to encourage you to be as healthy as you possibly can be, naturally.